Regardless of your industry, it’s very likely your website is the primary driving force behind your overall marketing and branding strategies. Just think about it – how many more potential clients visit your website than ever set foot in your office or store? And how many of your business cards, pamphlets, email signatures, or any other marketing pieces prominently feature your website? It’s likely that they all do, further underscoring the importance of web design. That’s because if your website – your most powerful tool for attracting, informing, and securing new clients – isn’t presenting the right image to the world, you’re likely missing out on potential growth opportunities. 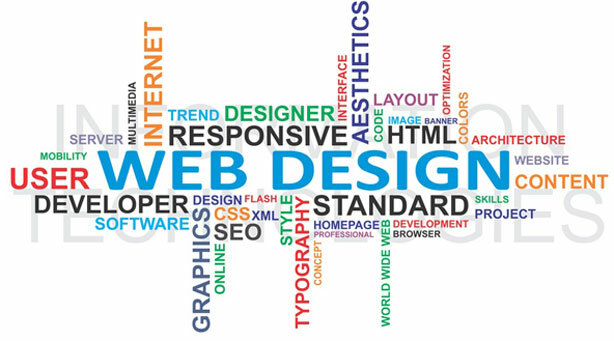 Your web design should be an all-inclusive representation of your company’s overall branding and marketing objectives. Aside from looking great, your site should also account for ease of use and how a visitor will click through the various pages on your site. Your site should also load quickly, helping visitors navigate seamlessly on their way to becoming potential clients. Above all else, your site should be designed and written in such a way that it ranks highly in search engines, which increases visibility, clicks, and business. Luckily, if you’re looking for expert web design services that can help you take advantage of the incredible power that a well-designed website can offer, CIC Computech is here to help. We’re your one-stop shop for custom web design, web development, web hosting, search engine optimization, e-commerce design, intranet design, mobile design, Internet marketing, and so much more.Contact us today for more information. We count with a team of talented designers and developers bringing a total of 20 years of expertise, we can guide you step by step to make sure your web site is a success.